The City of Vail, Colorado came alive as fighters and fans arrived in droves. The elevation in Vail, Colorado where the event took place is over 8000 feet. In comparison, the city of Denver sits a mile high at 5280 feet. Elevation does make a difference for a lot of fighters and this is the kind of challenge that makes it clear who is putting in the road work. For those who can’t make up to Vail for the show, it will be airing live on AXS.tv. and you can find timely results here on MyMMANews.com. 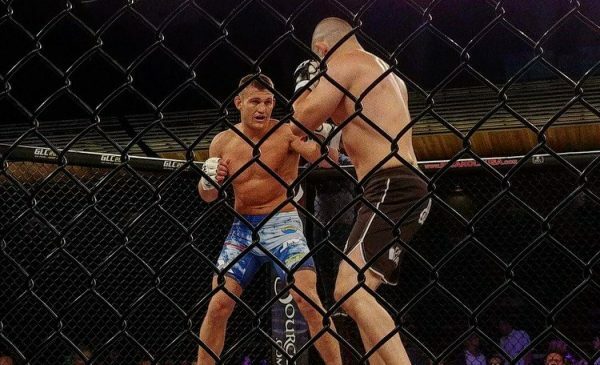 The night’s main event featured a pair of middleweights standing toe-to-toe inside the Legacy Fighting Alliance cage as Ian Heinisch battled Gabriel Checco. The organization’s interim 185-pound title was on the line. It took a good part of the round for Ian Heinisch to gauge the timing on the forward stalking pressure of Gabriel Checco. A solid overhand right from Heinisch dropped Checco hard to end the fight. Hawyard Charles used tactical chain wrestling on his first takedown attempt, but Christiano Frolich gave heavy resistance. Charles jumped guard but paid for it with ground and pound from Frolich until he was able to get a sweep and secure a more dominant position. From there, Charles worked to set up submissions but the fight would go to the next round. Frolich unloaded a barrage of strikes to start the second round. Charles covered with a high guard while pushing forward despite the damage. Charles scored a takedown and stabilized a powerful mount, which put him on track for a finish. An accidental elbow to the back of the head of Frolich would cause a timeout and fresh start with both fighters on their feet. Charles pressured Frolich against the cage landing heavy elbows, but Frolich would return the favor in the third round. Charles fought most of the third round off his back with little change in position, which was enough to secure the unanimous decision. Brandon Royval (6-3) defeated Jerome Rivera (7-1) via first-round TKO. Brandon Royval pressured Jerome Rivera to the cage and threw a flying knee. Either impact from the cage or knee landing on Royval’s elbow resulted in visible injury and inability to continue. Maycee Barber (3-0) defeated Audrey Perkins (1-0) via third round TKO. 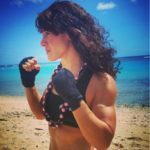 Fists were flying from the word “fight.” Striking flurries ensued for both female competitors and Barber quickly gained confidence in her kicks. Perkins purposefully caught one of those kicks aimed for high, taking Barber to the ground. A series of scrambles on the ground opened up a few offensive opportunities for Barber, but she was unable to finish. Round two had a similar theme with heavy groundwork. Barber made multiple armbar and triangle attempts, but Perkins refused to submit. Barbar came out with heavy hands in round three, doing significant striking damage before getting the TKO stoppage. 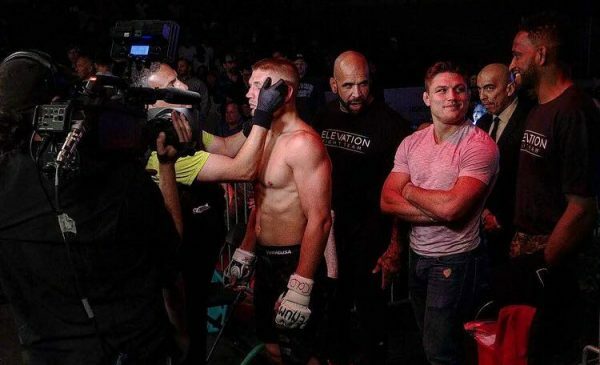 Austin Hubbard enters the cage with Elevation Fight Team teammates Neil Magny and Drew Dober in his corner. Austin Hubbard (8-2) defeated Harvey Park (9-1) via unanimous decision. Round one ran at a slower pace than one would expect for the weight class. Hubbard was aggressively seeking a takedown, but Park adamantly refused to stay down. Park waisted absolutely no movement, landing effectively and keeping Hubbard on his toes. Two minutes into the second round, Hubbard finally got the takedown to stick and worked from the back to lock up the rear naked choke. Park wasn’t having it. Park stood his ground for the first half of the final round, making Hubbard work hard to get his back off the cage. Hubbard was able to secure another solid takedown. Park threw up an armbar attempt from his back that looked to have serious potential. Hubbard escaped and finished the round with top control and ground and pound to secure the decision win. Ahmet Kayretli (6-2) Defeated Turrell Galloway via TKO. It was clear from the moment the fight started, that ferocity is not a function of size. Ahmet Kayretli showed evasive head movement which was giving Turrell Galloway trouble. Kayretli fired off a number of kick combinations. Galloway landed a solid right that dropped his opponent, but the victory was short-lived. Kayretli made an instantaneous recovery and took Galloway down. The move of the fight came in the second round when Galloway ducked to the left and was met with Kayretli’s shin on his head leaving a trail of blood. Things only got worse from there for Galloway who was taken down soon after and met with significant ground and pound. Kayretli didn’t feel like playing on the ground so he stood up, but Galloway was not willing to follow. Kaytetli re-entered for ground and pound multiple times before the end of the second round. Galloway did not answer the third round bell. Daniel Soto came out hard at the sound of the bell, showing that he was packing power. Youssef Zalal avoided taking any significant damage in round one while looking for the takedown. Once he found it, Zalal quickly made his way to Soto’s back and was content to remain there with his hooks in for the rest of the round, leaving a trail of Soto’s blood all over the cage. Zalal didn’t make any significant attempts at a submission in round one, but found himself perfectly positioned for the rear naked choke a minute and a half into the second round. 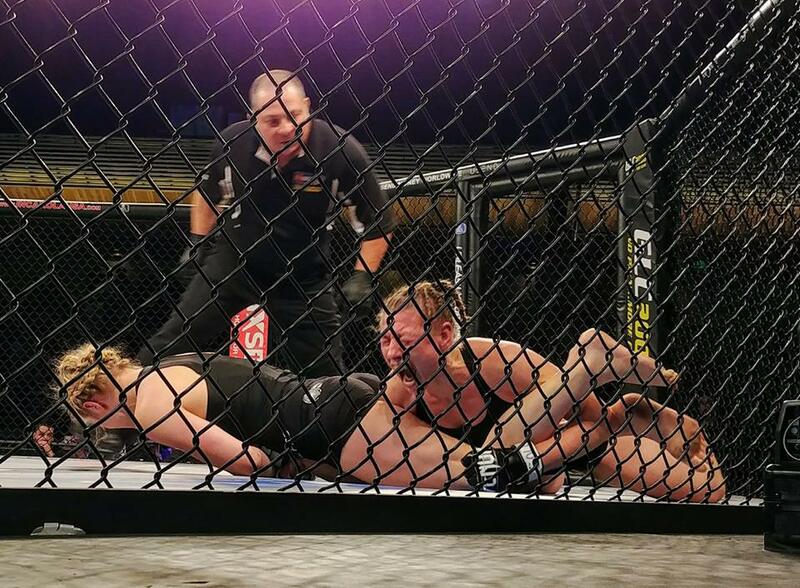 Carmen Sage (0-0) defeated Jesonna Ollis (2-0) via armbar 1 minute and 40 seconds into round two. Chris Roybal (1-0) defeated Matthew Powers (0-2) via TKO. Powers was unable to answer the bell going into round two. Josiah Reyes (1-1) defeated Ryan Marcinkevich (1-0) via TKO, 1 minute and 26 seconds into round two. Next A Look Into The UFC Rankings System – Who is doing the voting?